Yulia Grigoryeva / ShutterstockThere’s a simple trick that could stop you from losing your passport. If you’re going to keep it in your hotel safe, leave the shoes you travel in in the safe, too. That way, you won’t leave the hotel room without checking the safe. 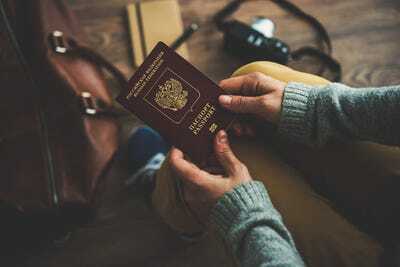 Whether it’s stolen or you simply misplace it, travel plans can get interrupted and flights can be missed if you don’t have your passport on you. However, she said there’s an easy way to prevent this from happening. “My top tip is to keep one of your shoes you plan to wear on your journey home in the safe. It’s a pretty simple tip to follow.